Join Flamenco en Rouge for its latest production, Corrientes (Currents), and be swept away to Spain! 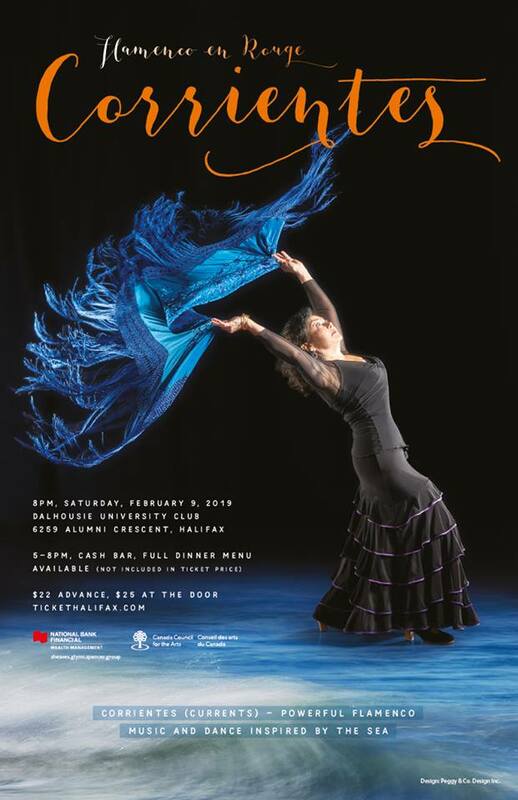 Enjoy the performance in a Spanish-style tavern ambiance at the beautiful Great Hall at the Dalhousie University Club. Powerful, authentic and dramatic flamenco brought to you by the seven musicians and dancers of Flamenco en Rouge! 5-8 PM: Full dinner menu available.